Jacky Larrivière was born in Colombe, France on 20 July 1946. As a child he enjoyed trying to copy his favourite comic strips and that eventually led to his school teacher guiding him towards the Ecole Estienne. 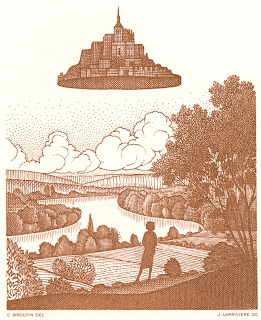 There, it was by pure chance that Larrivière enrolled in the engraving class. He took up an immediate liking to the work and graduated four years later, in 1965. Military service followed and after that Larrivière found it rather hard to find any work. Eventually, he ended up engraving jewellery, which was not what he had expected but the experience did give him a lot of confidence. Having to engrave precious jewellery makes one aware of having to be extremely careful and precise, which are valuable character traits for any engraver! Only a couple of years later, in 1972, did Larrivière hear through a friend of his, Claude Jumelet, that a place had become available at the ITVF, the French government printing works. He managed to get the position and that was the start of an illustrious career. Within a couple of months, Larrivière had engraved his first ever postage stamp, a value from the 1972 Olympic Games set issued in the French Territory of the Afars and the Issas. 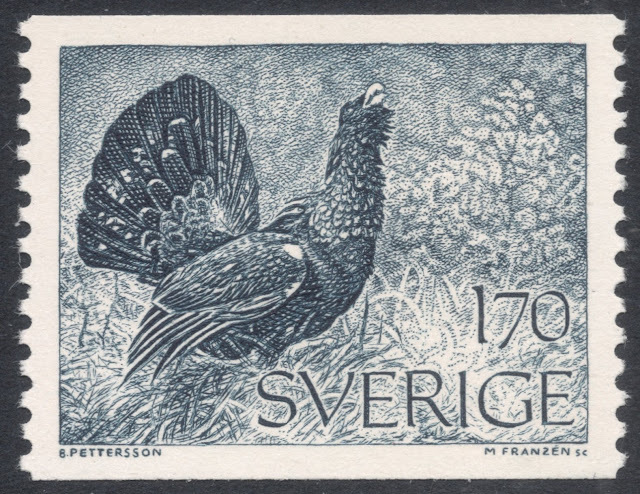 As happens so often, Larrivière had to work on French Territories’ stamps for a couple of years before being allowed to move on to engraving stamps for France itself. 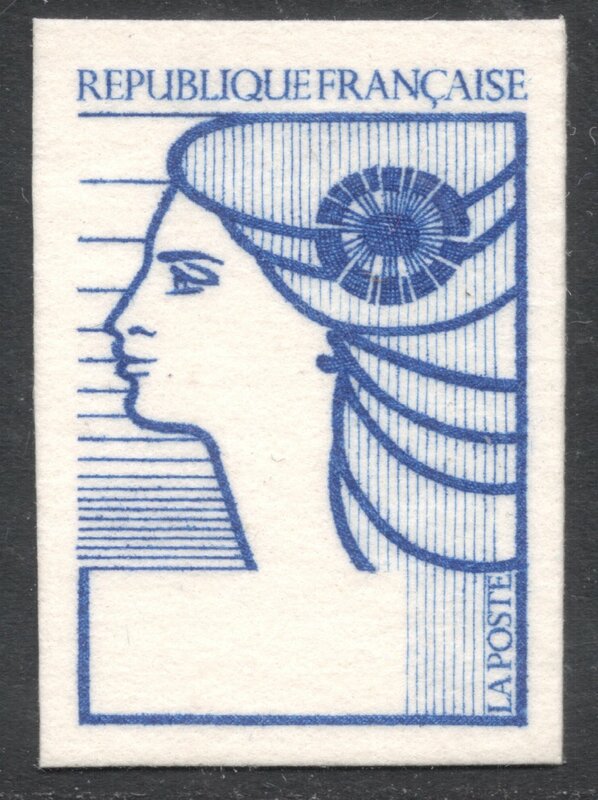 Larrivière’s first work on a French stamp was the Ceres stamp of the ‘Arphila 1975 Stamp Exhibition’ set. 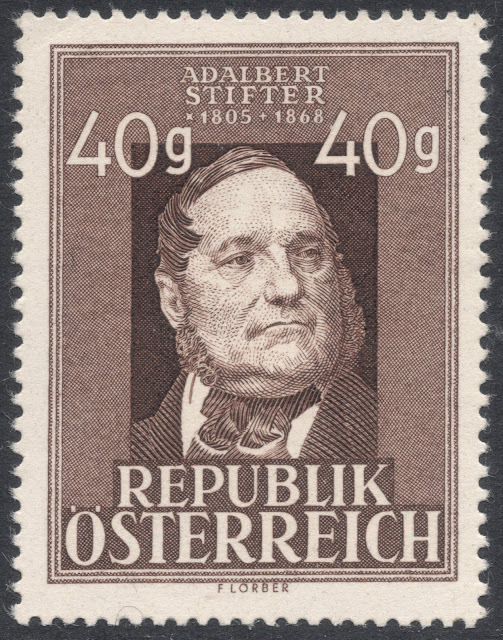 But, being regarded as a retoucher rather than an engraver, he was not allowed to have his name included in the stamp design. 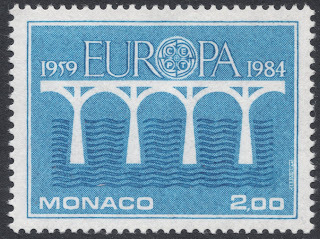 And so, his first officially engraved and name-checked stamp for France is the 1984 Europa stamp, which is still one of his favourite works. Larrivière not only engraved but also designed the stamp, although that almost never happened, for when the Europe-wide design competition was held for this stamp to mark the 25th anniversary of the European Post and Telecommunications Conference, the French authorities conveniently forgot to ask the lesser engravers to submit any designs. It was actually Monaco who, having forgotten about the competition completely, only realised with one more week to go that they still had to come up with a design. 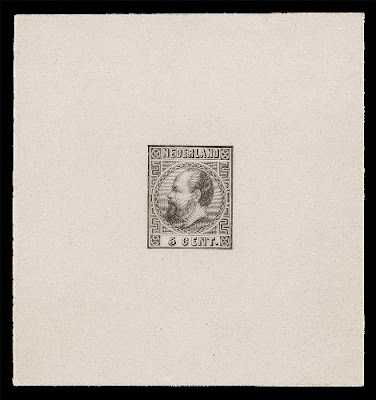 In blind panic they asked both Jumelet and Larrivière, who had already done more work for them, to submit stamp designs. 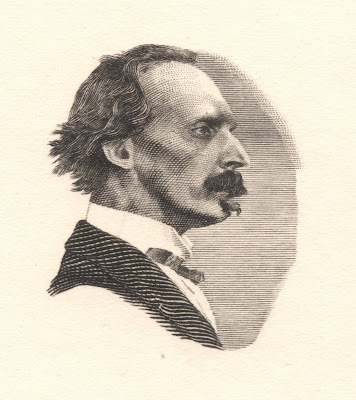 Larrivière won the competition which improved his profile no end. 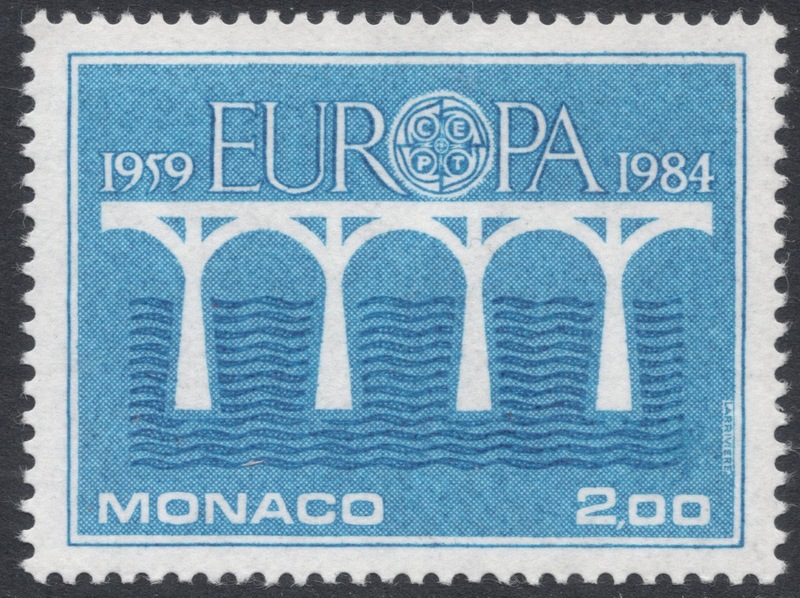 Larrivière not only got the chance to engrave the Monaco version of that Europa stamp, but also the French version. 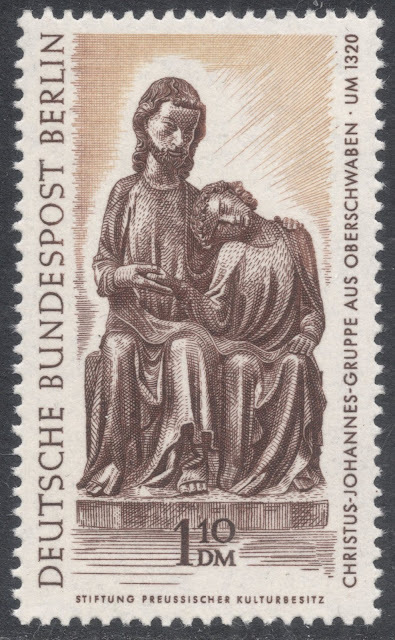 He finally had had his breakthrough and would be allowed to start working on engraving more French stamps. 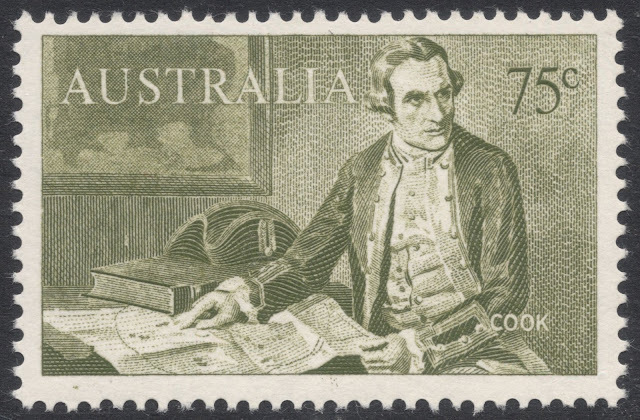 By now, Larrivière has engraved over 300 stamps. 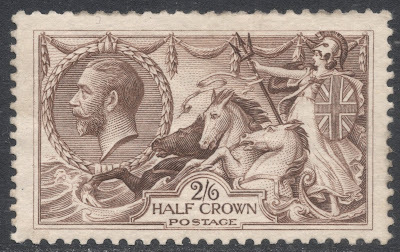 He does not have any French definitives bearing his name but he did submit a design in 1989, which was later printed in a philatelic document. But he has done a lot of work on the commemorative issues marking the 50th anniversaries of the various French Marianne series of old. Larrivière engraved those marking the anniversaries of Marianne d’Alger in 2004, Marianne de Dulac in 2005 and Marianne de Gandon in 2006. 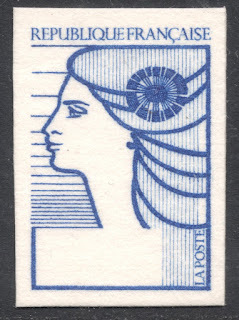 As a fervent fan of recess-printed stamps, Larrivière is a member of the ‘Art du timbre gravé’, an organisation which promotes the use of the recess-printing technique. In 2008, he engraved their annual souvenir card. 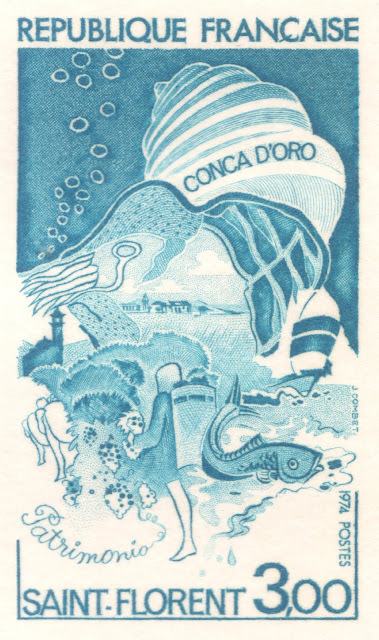 Though he will admit that some stamps printed by a combination of processes, such as intaglio and offset, may look exceptionally good, it is always a compromise of the two processes which usually has a detrimental effect on the intaglio part. 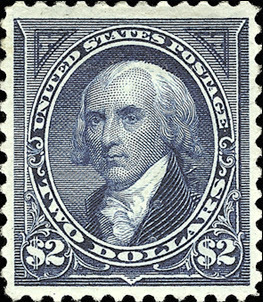 Larrivière therefore very much prefers stamps that are completely printed in recess as these will showcase the art of the engraving best. And it seems the industry agrees very much with him for it is his recess-printed stamps that have yielded the most prestigious awards. 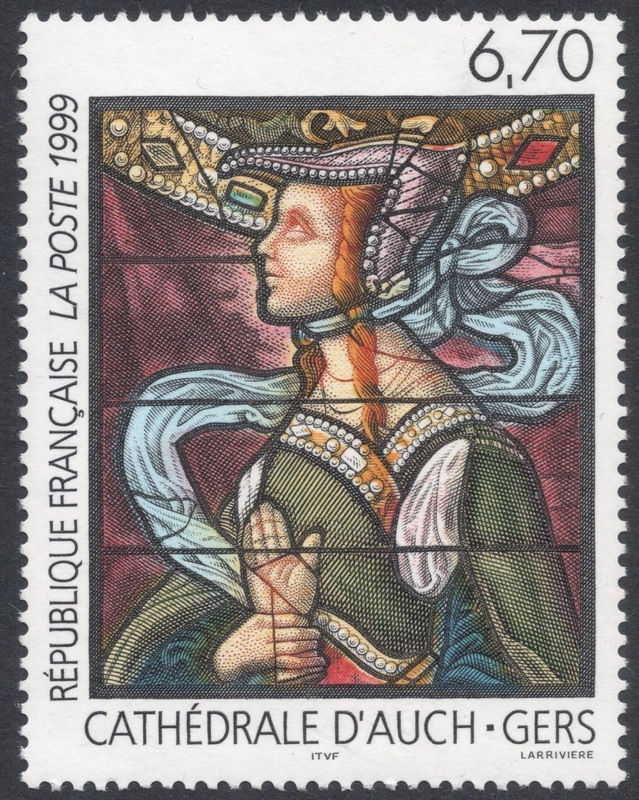 In 1985, Larrivière engraved one of France’s Art stamps, with the stained glass window depicting the Judgement of Solomon in Strasbourg Cathedral. 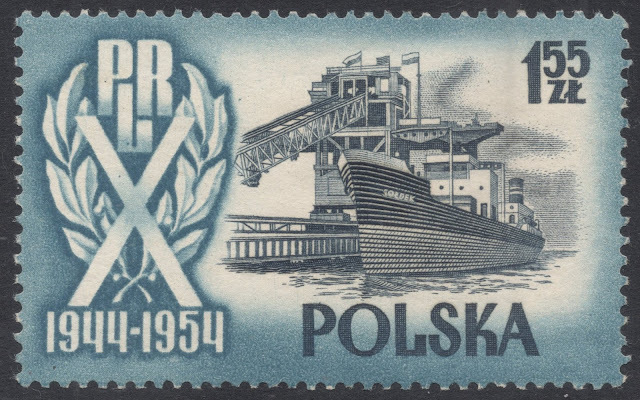 In 1987, it won him first prize in the ‘Best Intaglio Stamp’ category, at the Conference of the Government Postage Stamp Printers’ Association, which was held in Washington that year. 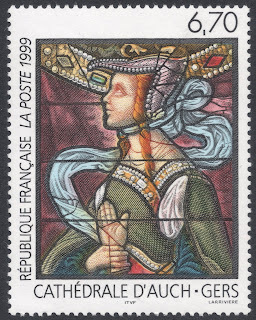 The 1999 stained glass window from Auch Cathedral won him the Grand Prix de l’Art Philatelique. You will find Jacky Larrivière's database HERE.